This cookbook has been specially designed and formatted to allow non-readers, students who lack mathematical skills, young children between the ages of three and ten years, and people with autism and other developmental disabilites to become independent in the kitchen. 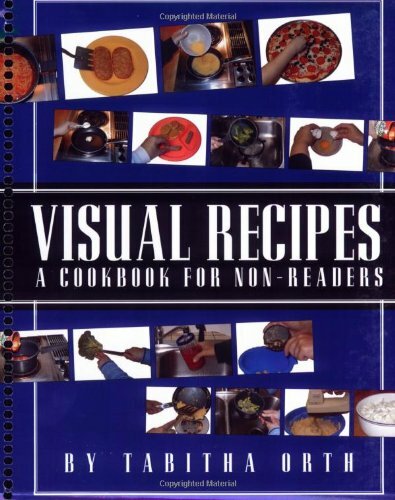 Each recipe is presented in sequential picture form, each step of which is framed for visual organization. Color coding suggestions for the kitchen are given.